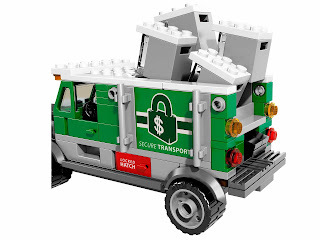 come with a money truck. 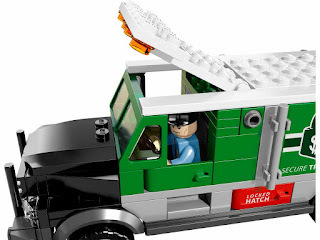 the truck has openable doors,a cab roof, an explodable roof function and 4 mini safes. 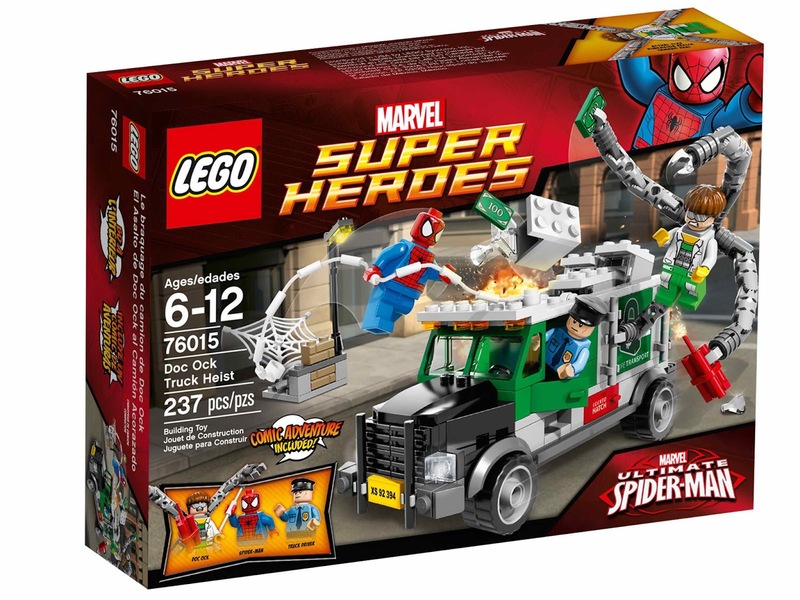 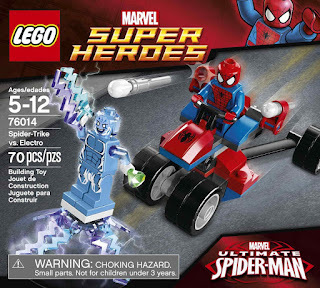 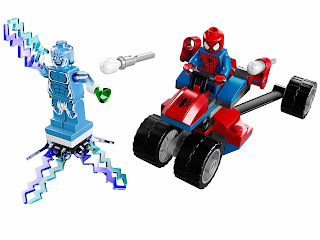 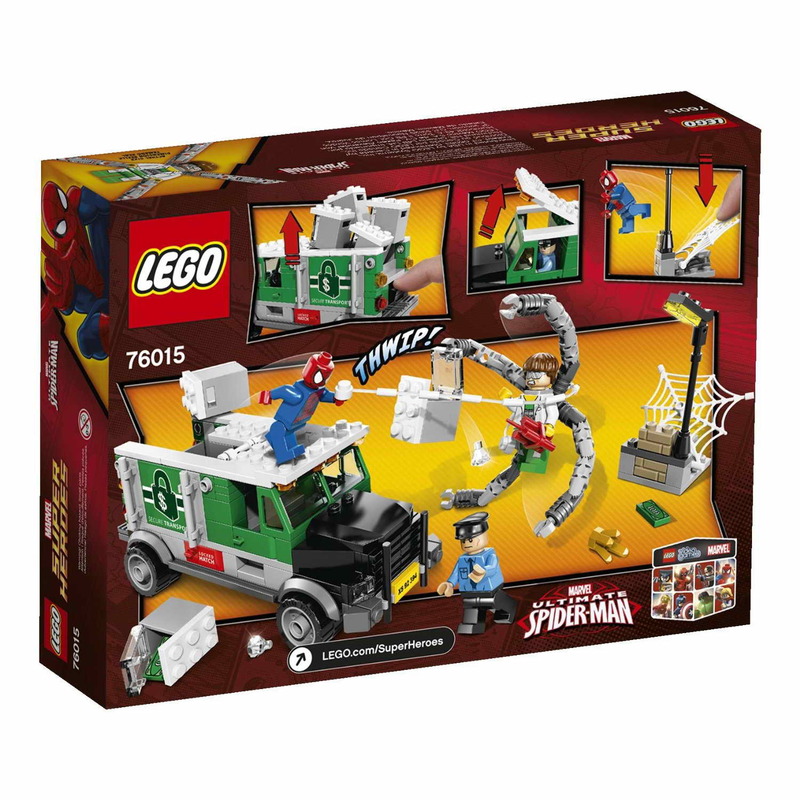 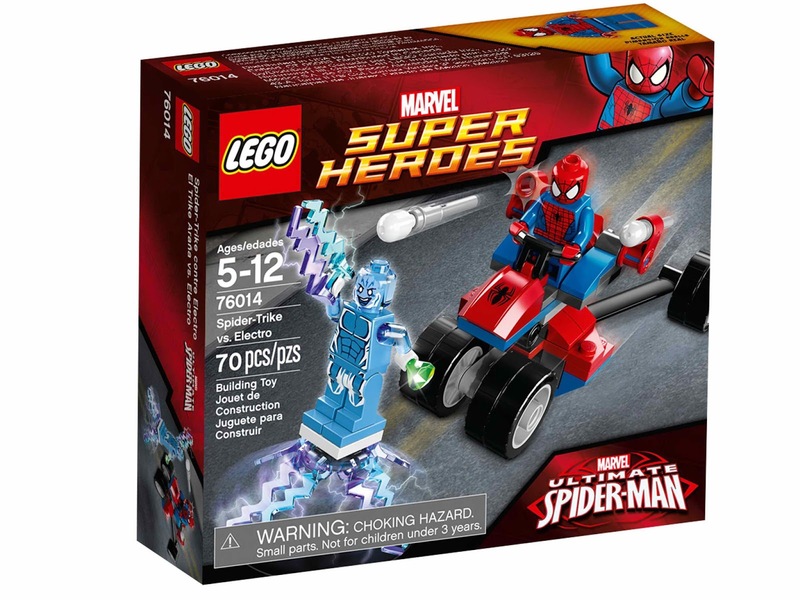 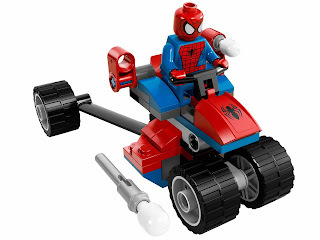 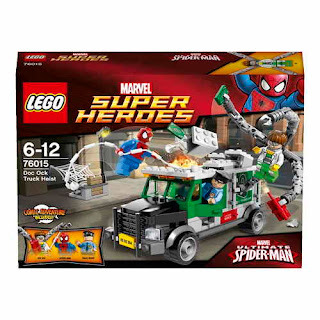 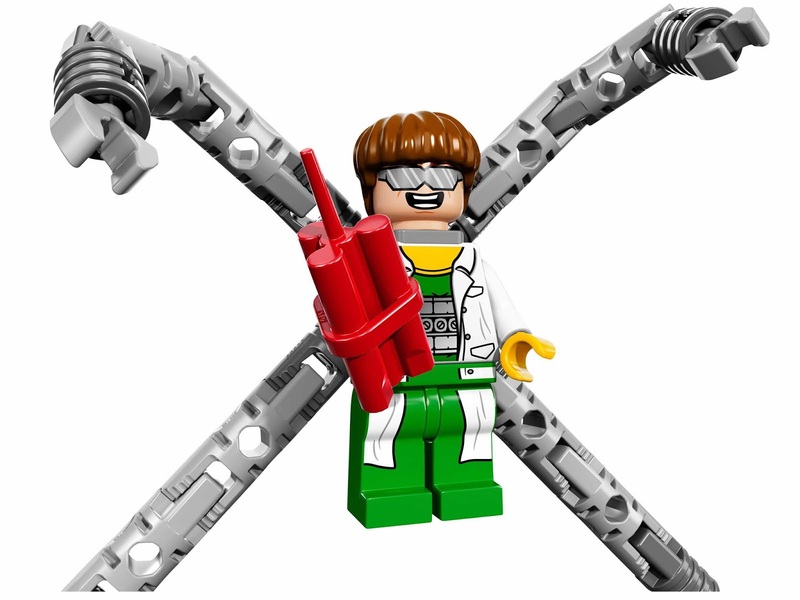 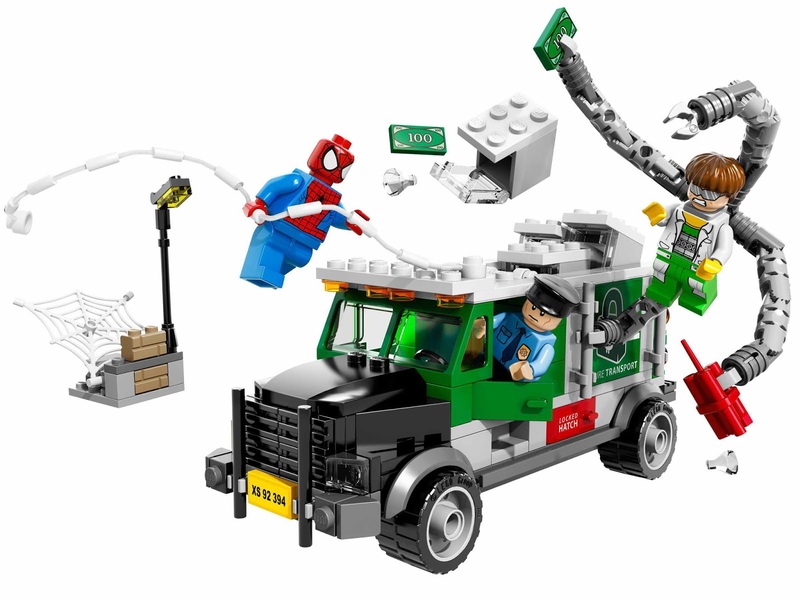 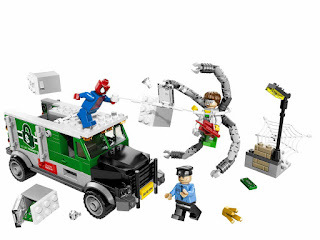 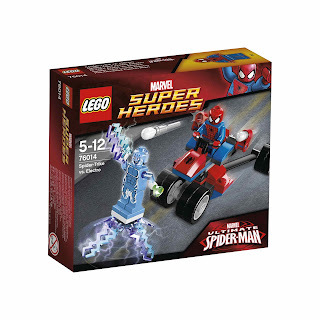 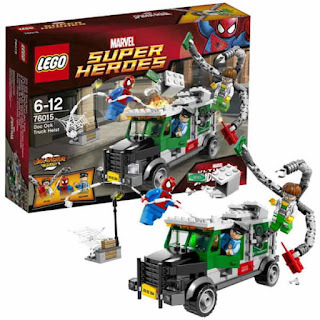 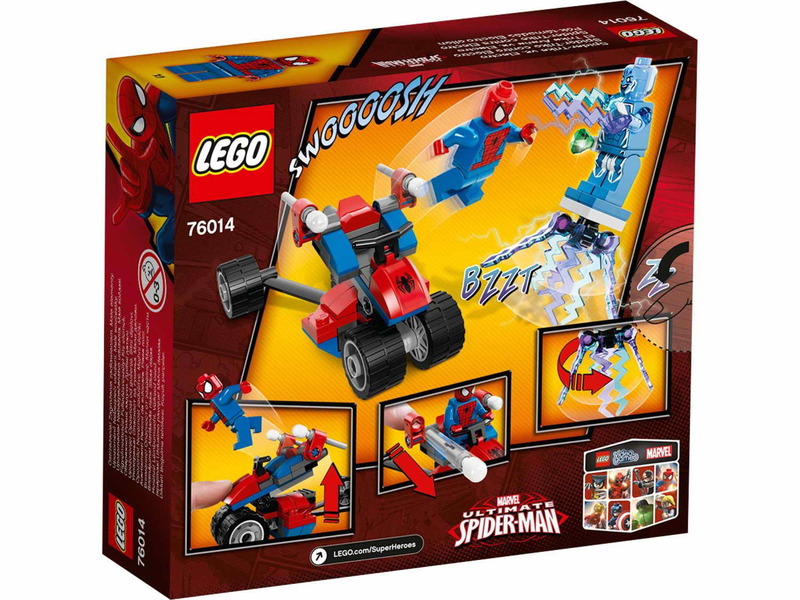 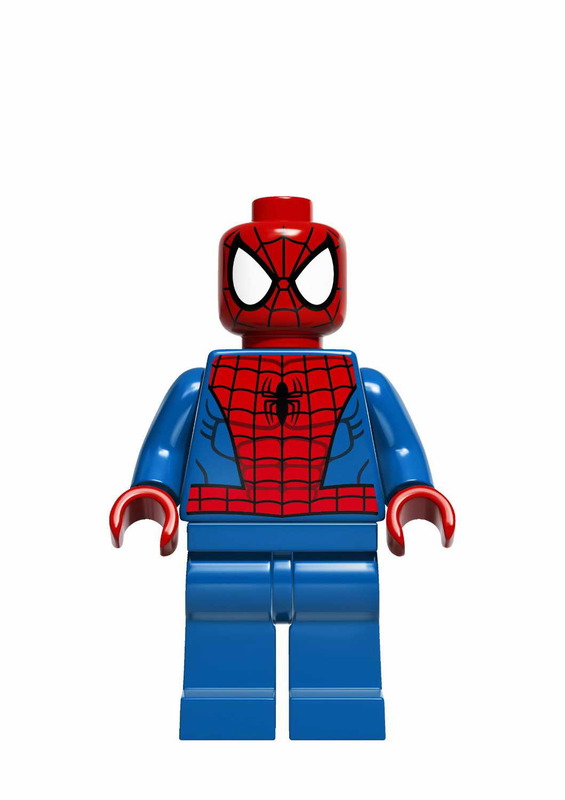 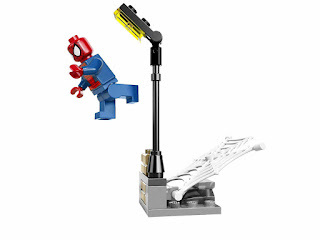 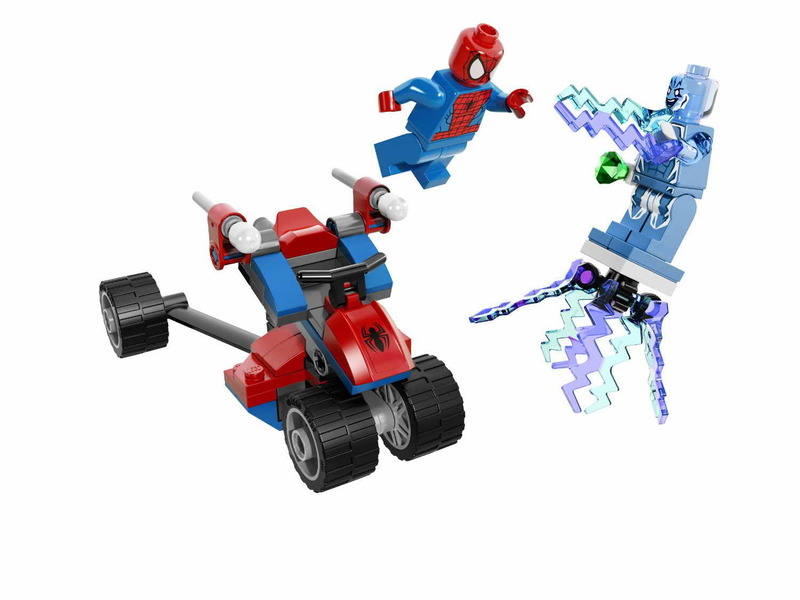 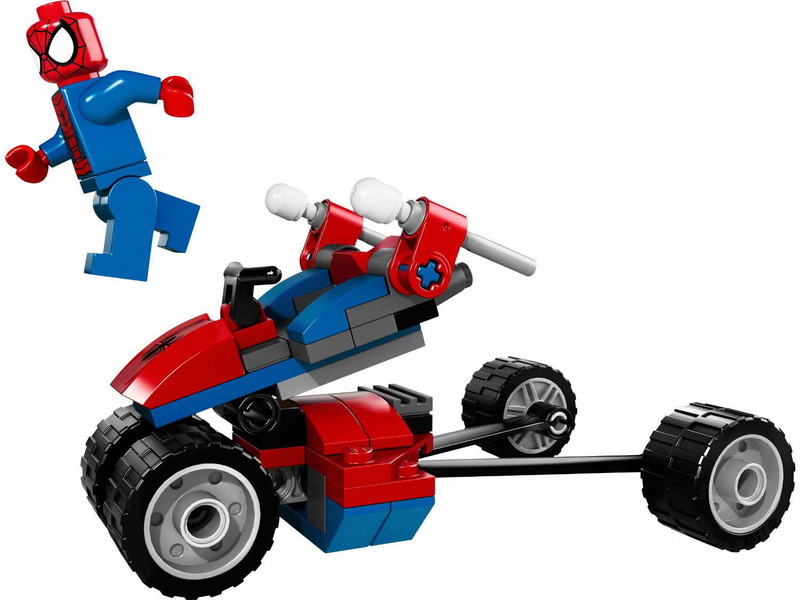 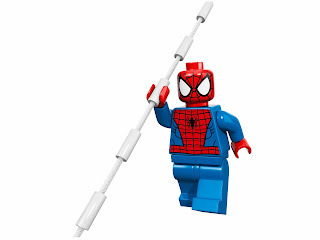 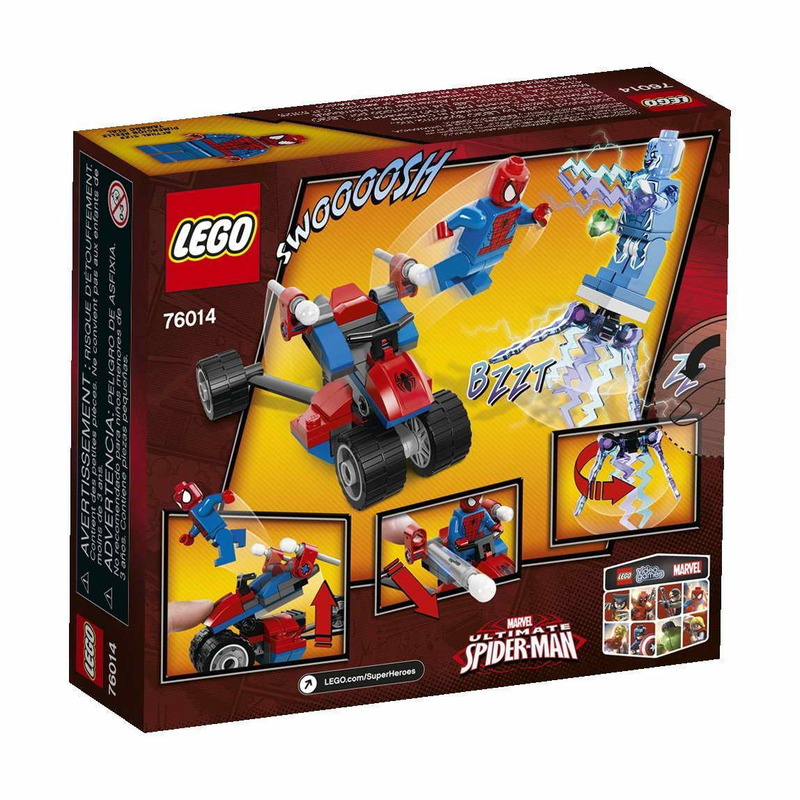 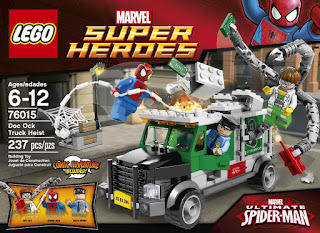 minifigs included a spiderman minifig, a doc ock minifig and a truck driver minifig. 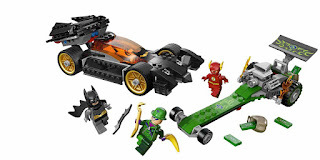 come with the batmobile and the riddler’s dragster. 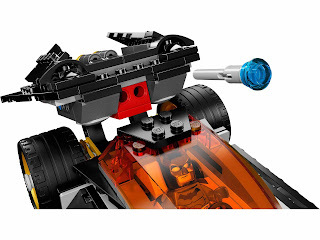 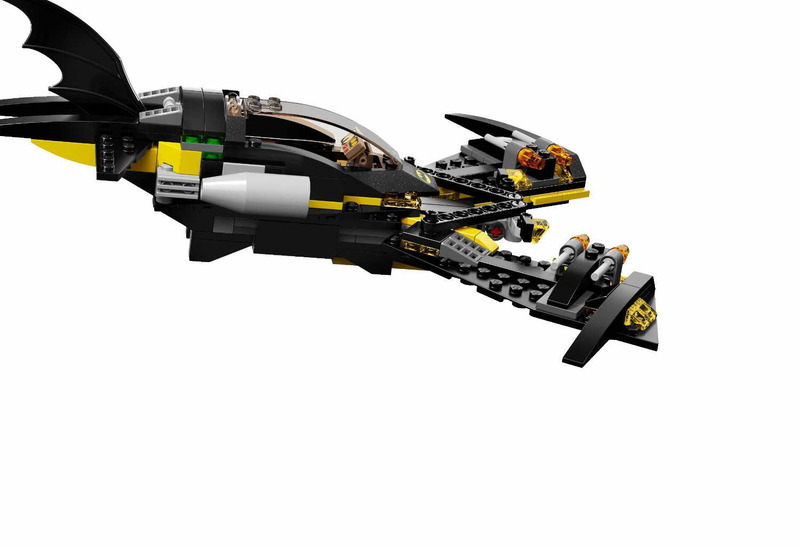 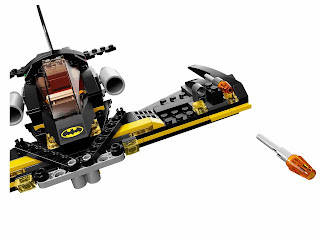 the batmobile has a detachable cockpit and hidden flick missiles. 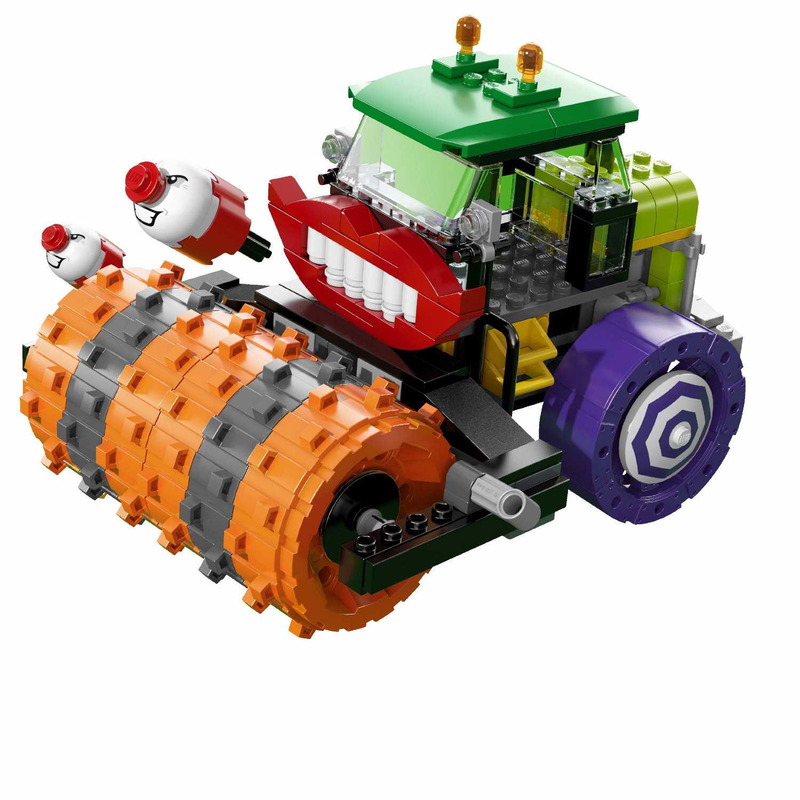 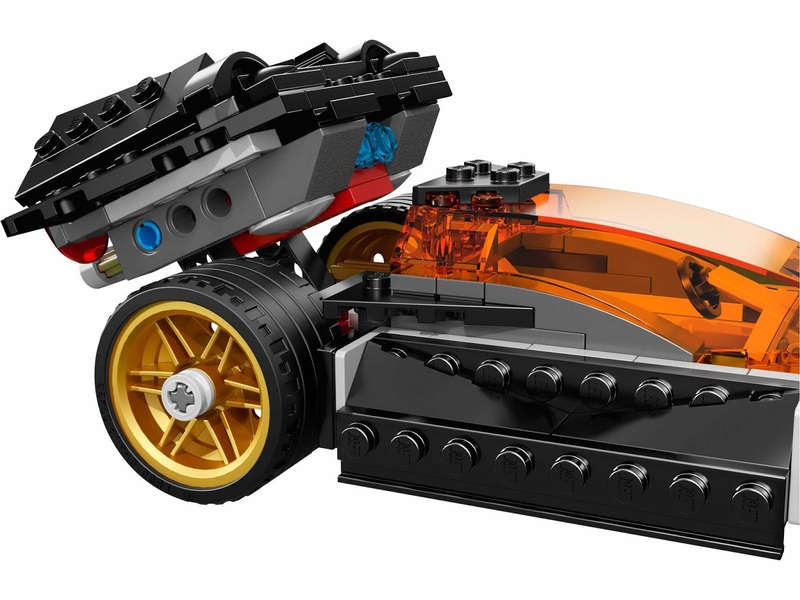 the dragster has a big engine, flames, big rear wheels, money bags and a detachable bomb. 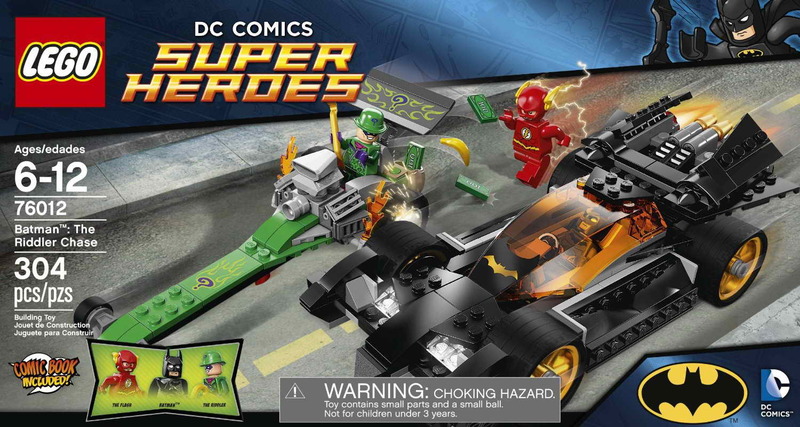 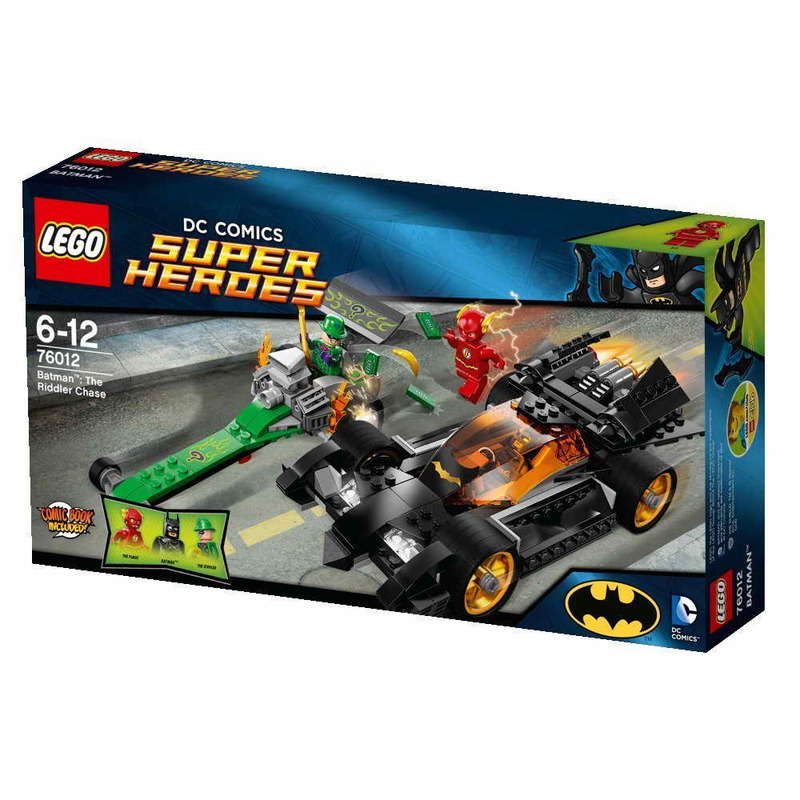 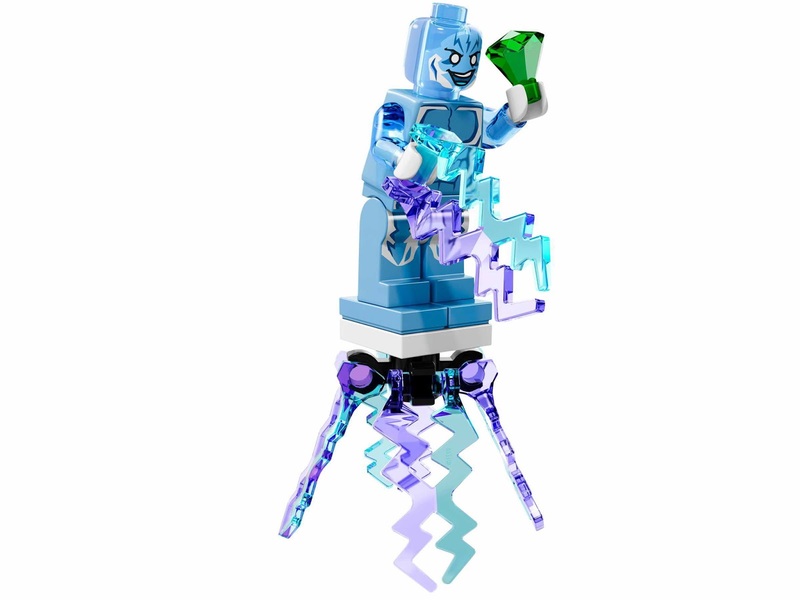 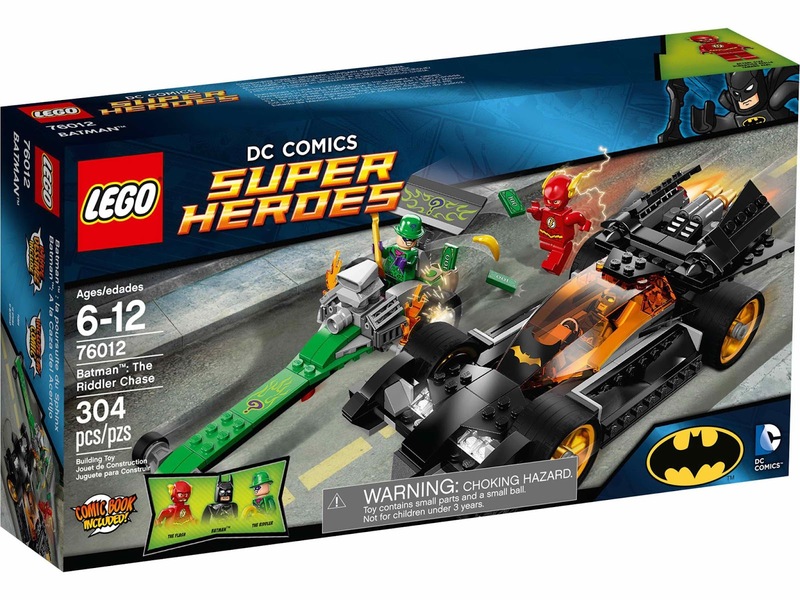 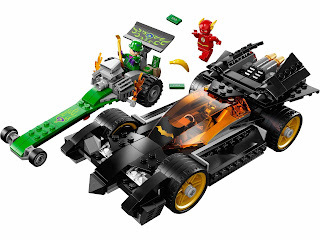 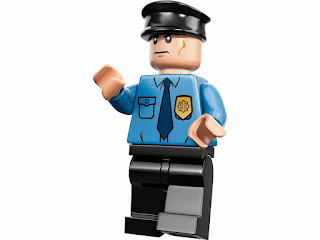 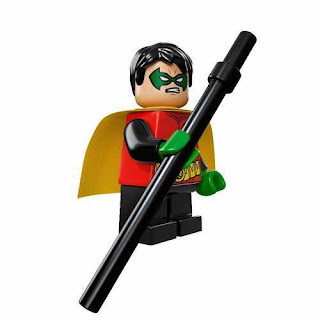 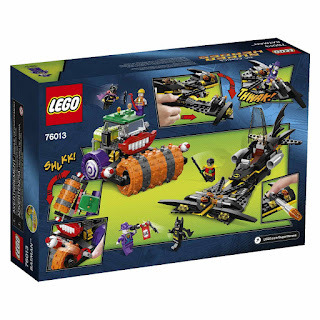 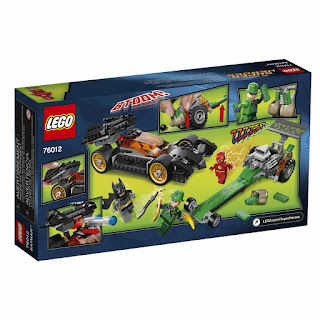 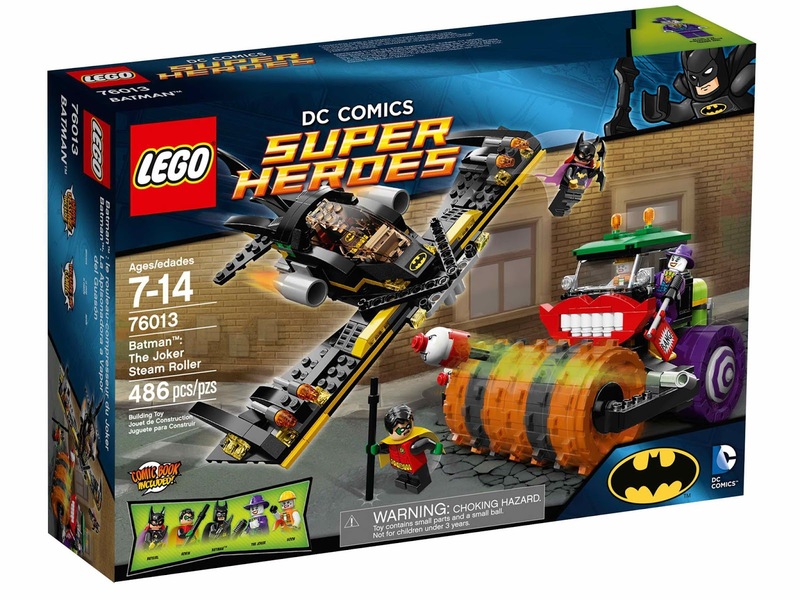 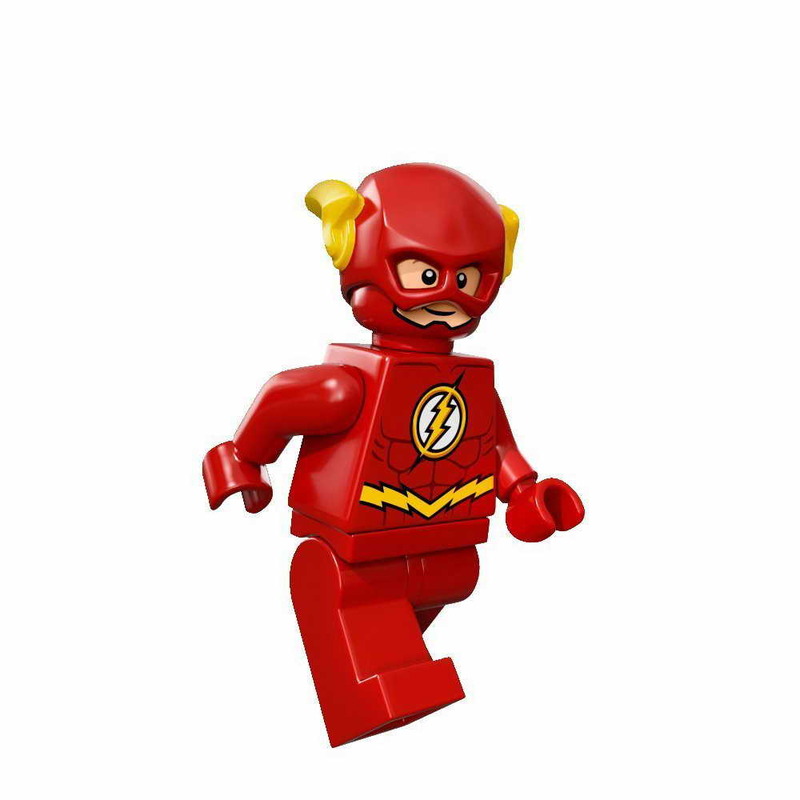 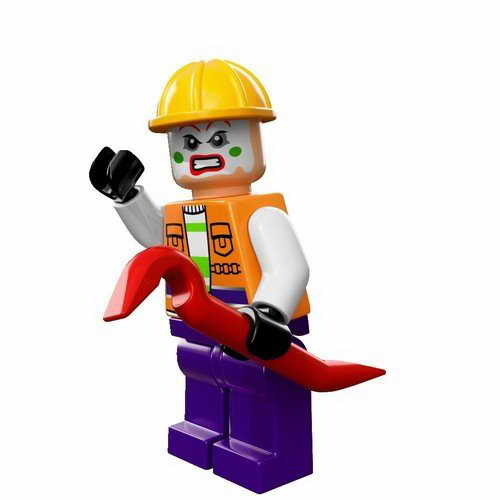 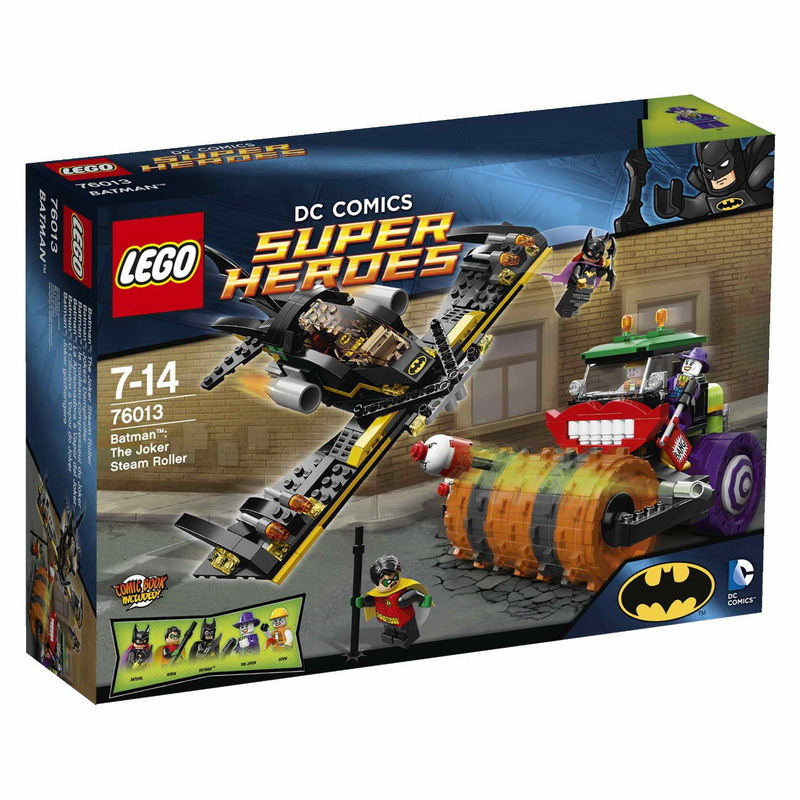 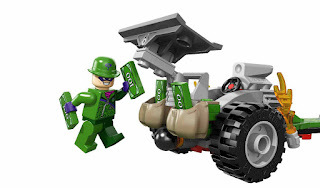 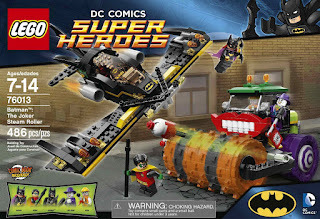 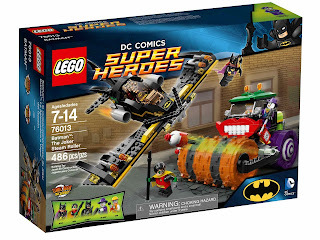 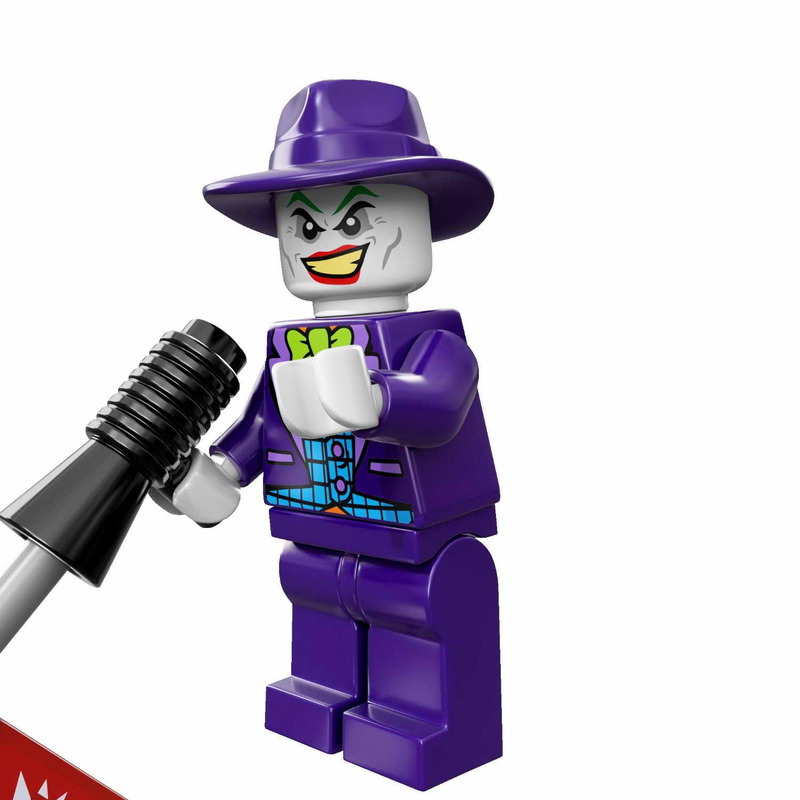 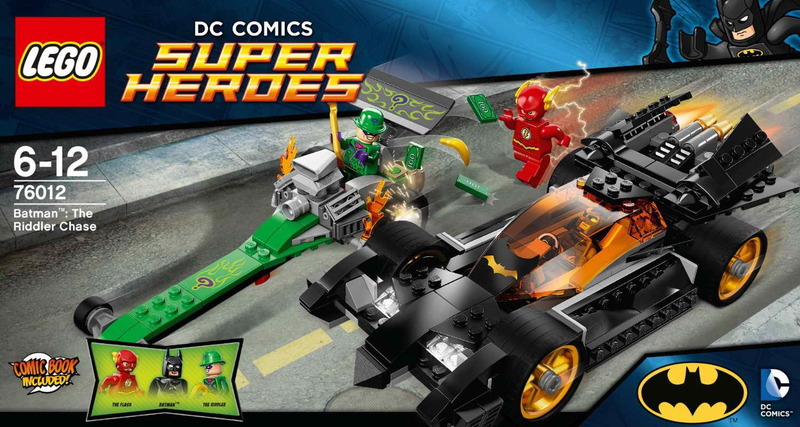 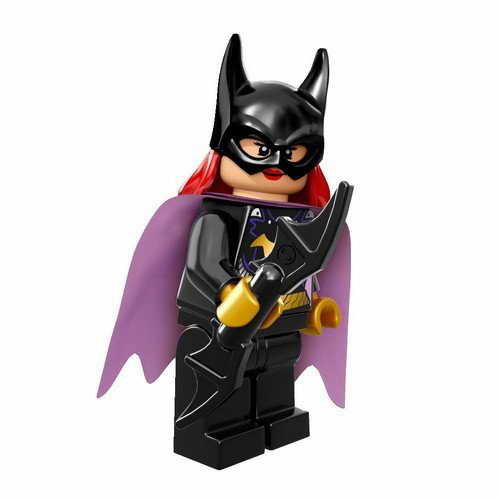 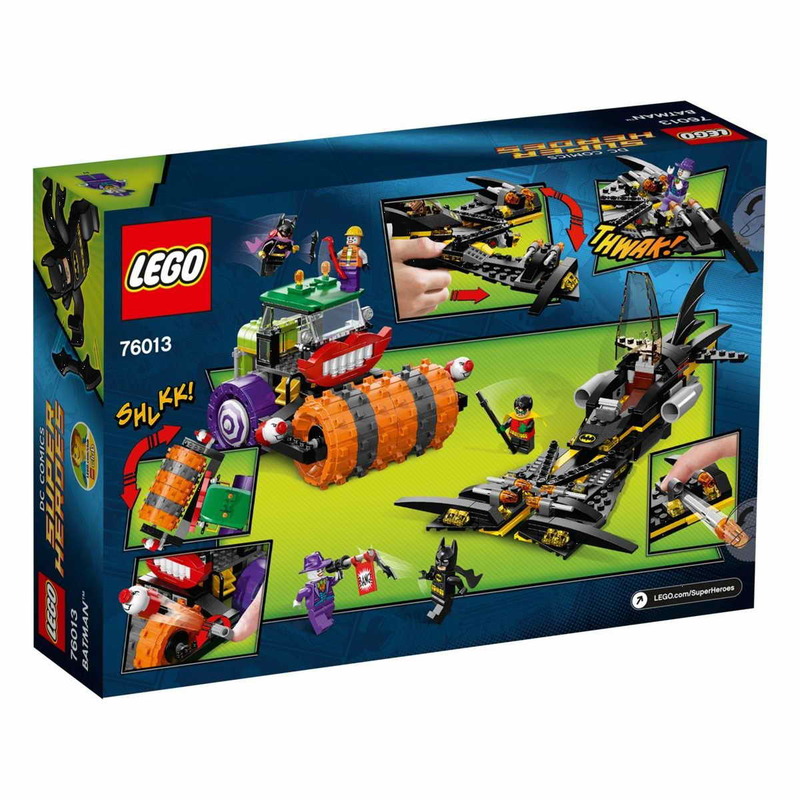 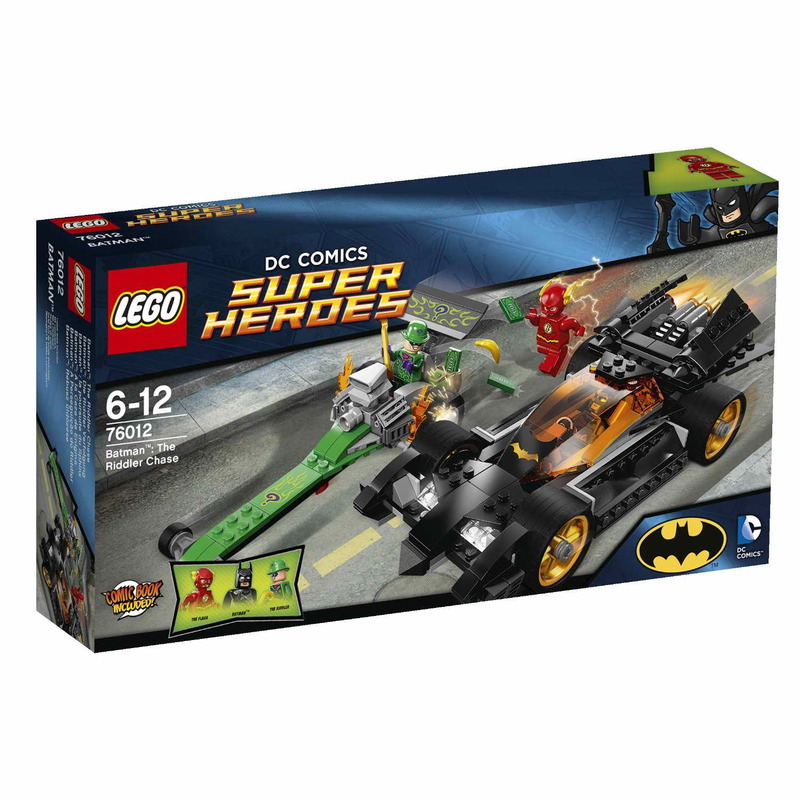 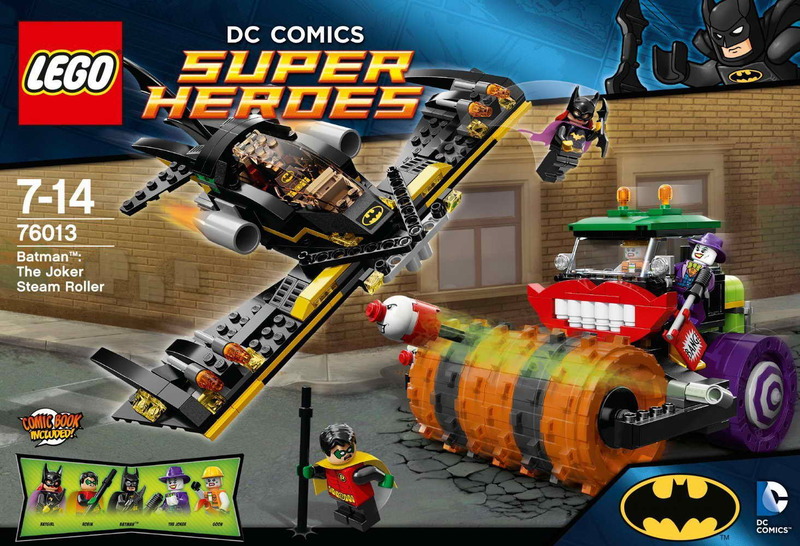 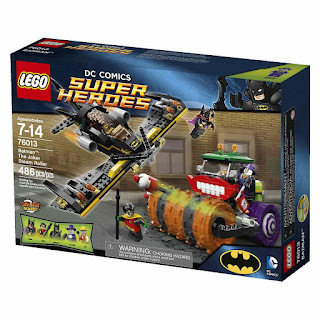 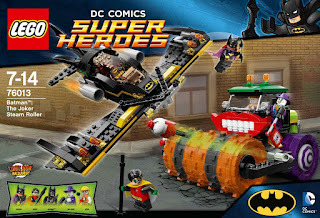 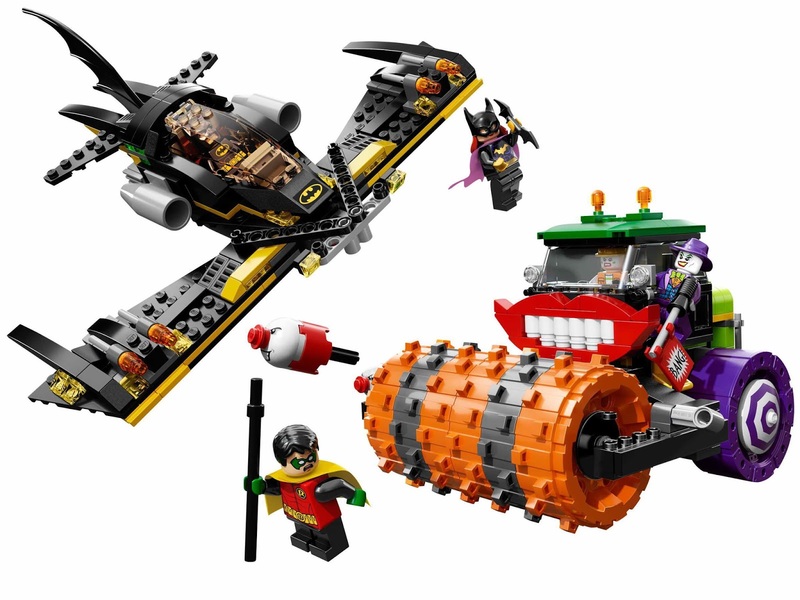 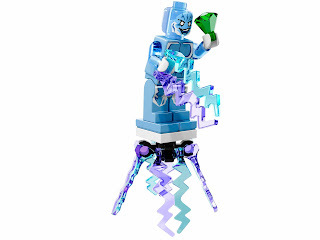 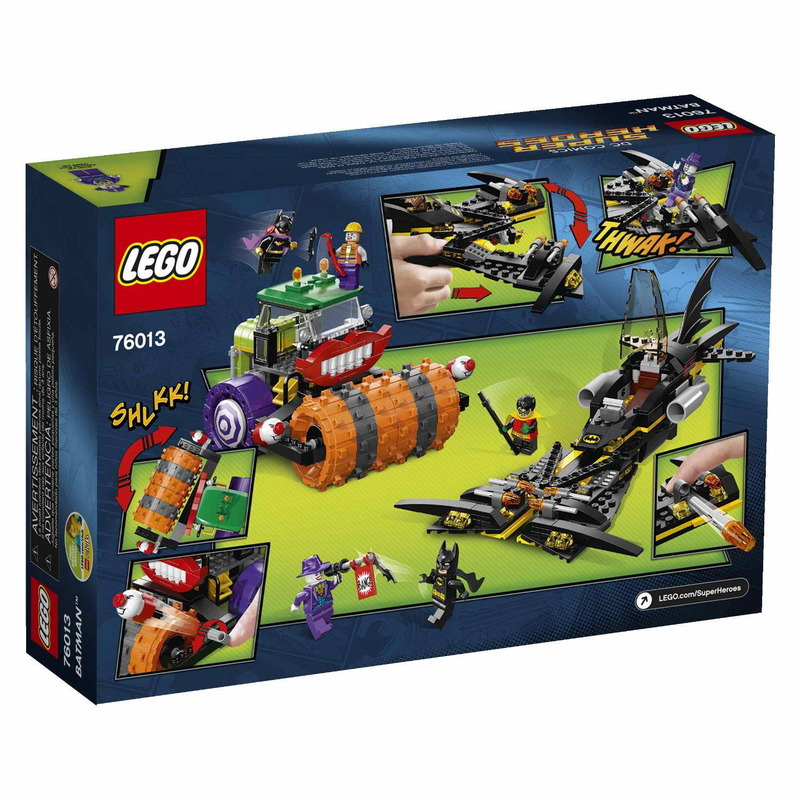 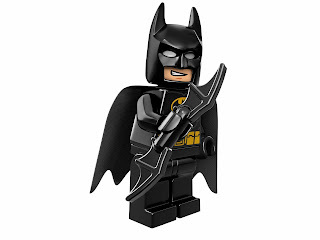 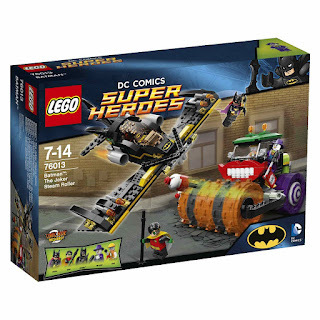 minifigs included a batman minifig, the flash minifig and the riddler minifig.